Children are fascinated with nature and the simple pleasures of smelling flowers, picking vegetables and studying insects. Gardening is a fun outdoor activity that teaches patience and responsibility, environmental awareness and, more importantly, builds self esteem. Whether you live on a farm, in the suburbs, or even in the city, you can introduce your child to gardening. Children as young as two years old can certainly help with gardening tasks like digging, planting, and watering. With a little help from Mom and Dad, an older child can be involved in planning, planting and taking care of their own garden space or window box. Plant things children like to eat – such as veggies they like on pizza or in a salad — or create your own salsa using tomatoes you’ve grown. Let your child help you tend to existing plantings. Give them a small spot of their own where they can help plan and create a small garden. Help them decide if they will plant flowers, vegetables or both. Make a scarecrow to deter pests, or plant daisies and petunias to attract butterflies. Be sure to set aside special time for gardening, but keep sessions brief. 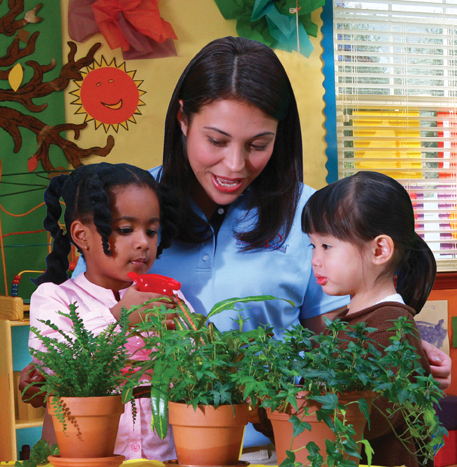 Frequent activity changes, such as planting, watering, mulching, weeding and harvesting will help keep children engaged. Allow plenty of time for catching toads, gathering bouquets of dandelions or planting the seeds from yesterday’s snack of fresh watermelon.